One of my favorite foods I would have to say is Tacos, They are super easy and fun to create with your own filling and toppings. I have made mine with everything from fish to chicken, you can even make them vegetarian with some refried black beans. 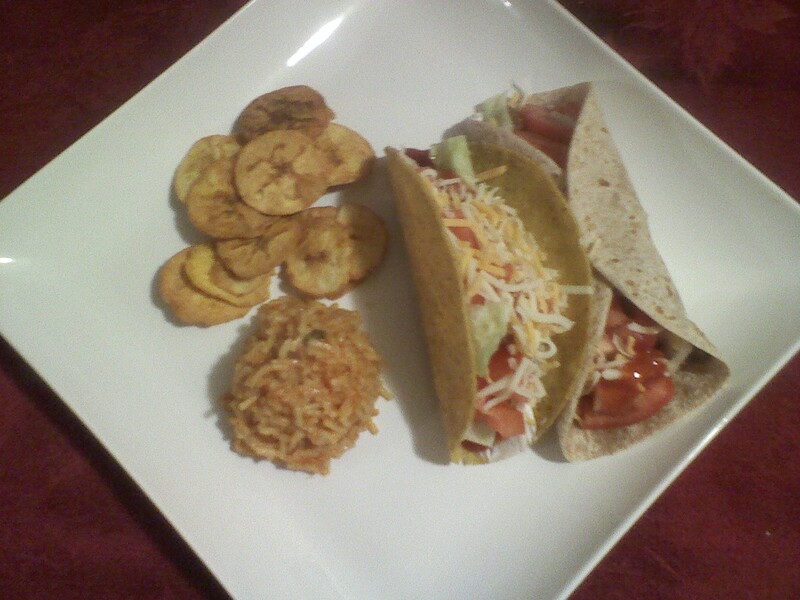 These are the traditional ground meat tacos, with a side of spanish rice and plantain chips. So go ahead give some tacos a try. What’s the most intersting taco you have had? I too love tacos and am planning on making some fish ones this week – which will be a first for me! Fish tacos are so delish…how do you plan on making them?? What fish are you going to use?